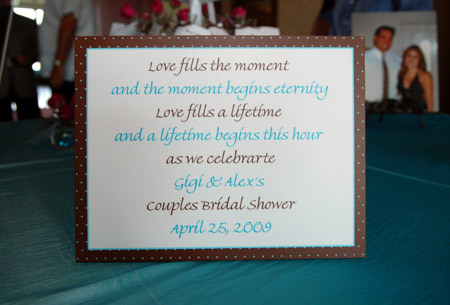 Alex and Gigi have to be one of the nicest couples I know. 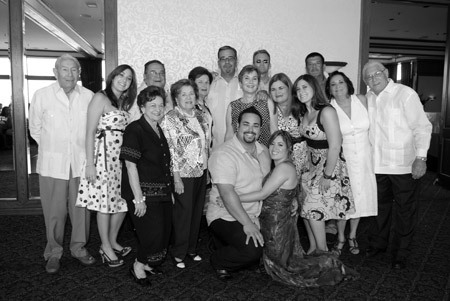 Whenever I am around their family and friends, I feel like I am among my own. 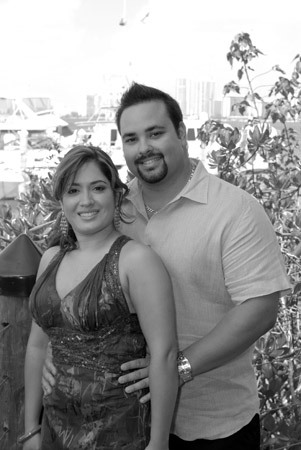 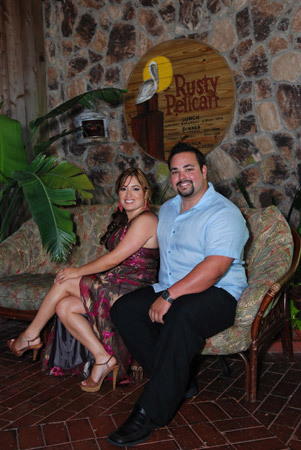 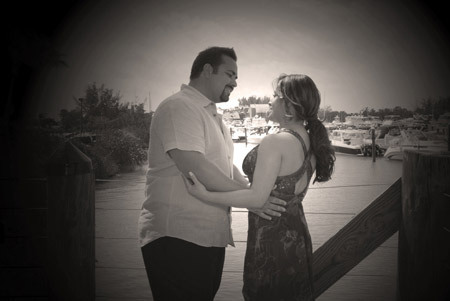 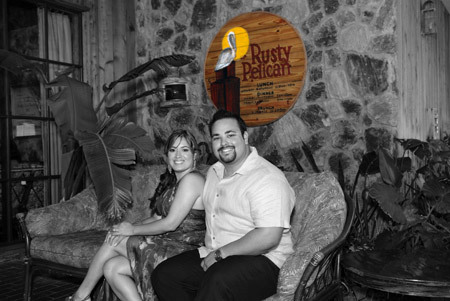 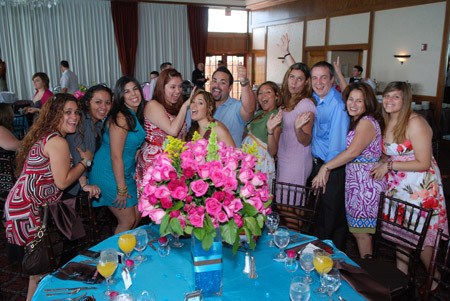 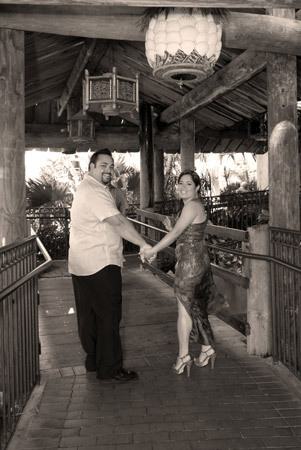 They recently celebrated their wedding shower with a couples lunch at the Rusty Pelican and it was so much fun!!! 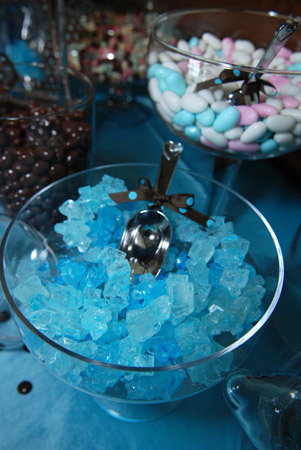 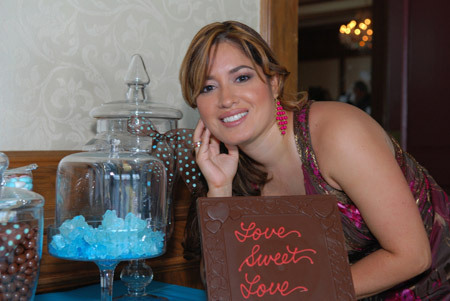 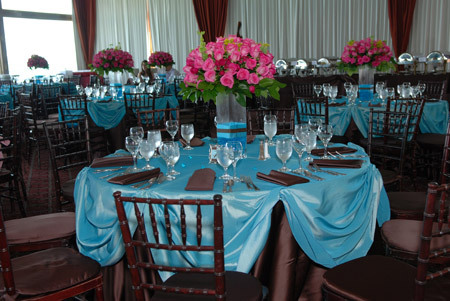 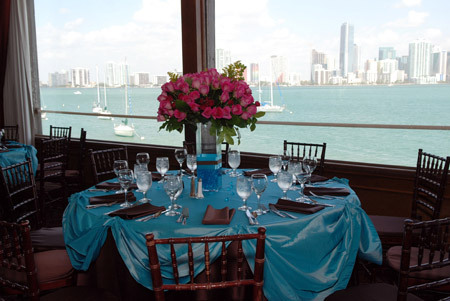 The teal and chocolate decorations were accented by gorgeous centerpieces made of fragrant pink roses. 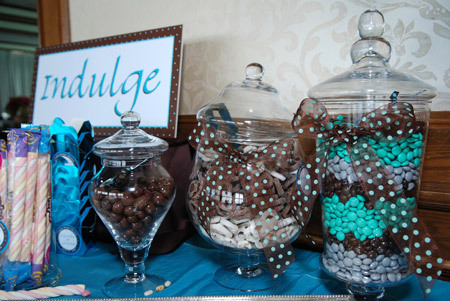 The food was great, and the games they played were different from others I’ve seen and lots of fun, but the highlight of the party, besides the beautiful couple, was the deserts. 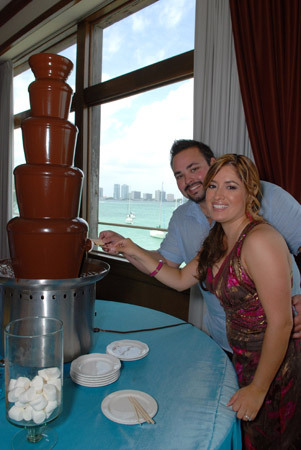 Among other things, they had a “candy station” where the main attraction was chocolate with the tallest chocolate fountain I have seen in a while. 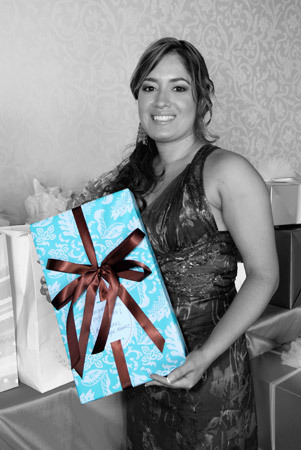 Everyone enjoyed the party and showered the couple with good wishes, many presents, and lots of love. 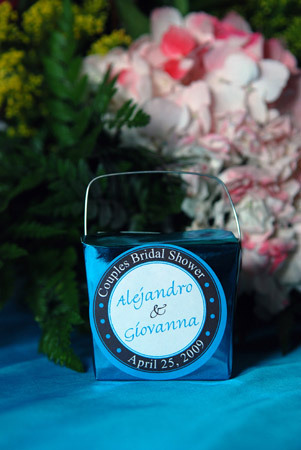 Congratulations Alex & Gigi, I wish you life long happiness.